Raijintek is a company that is not only known for making cases, but also various air and all-in-one water cooling for CPUs. They are also known for their Raijintek Morpheus, which is a massive heatsink with fans for aftermarket GPU cooling. 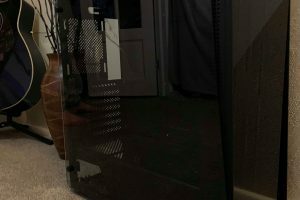 Today, we are going to take a look at one case I’ve been meaning to review since they released their aluminum line of cases. 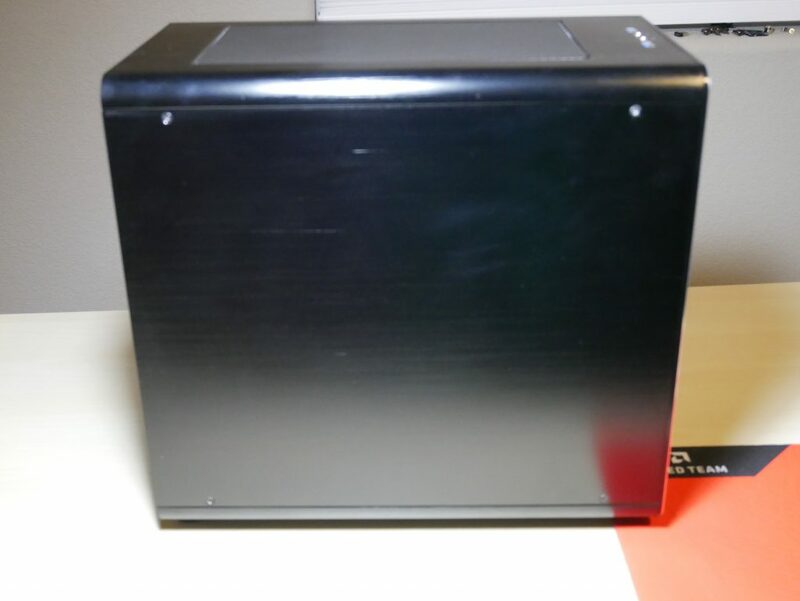 The case we will look at will be the big slightly bigger brother of the Raijintek Metis, the Raijintek Styx. 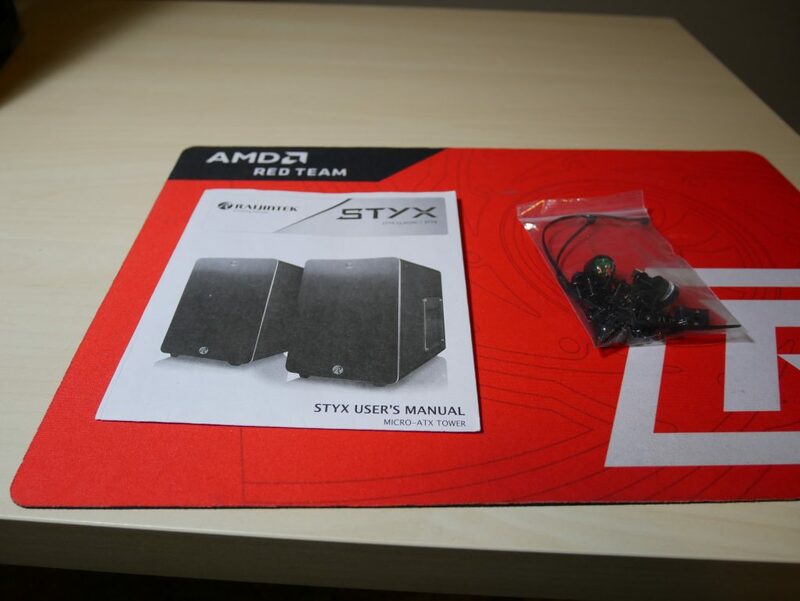 When first looking at the box that arrived, I noticed that overall the box was pretty small for an Micro ATX case. 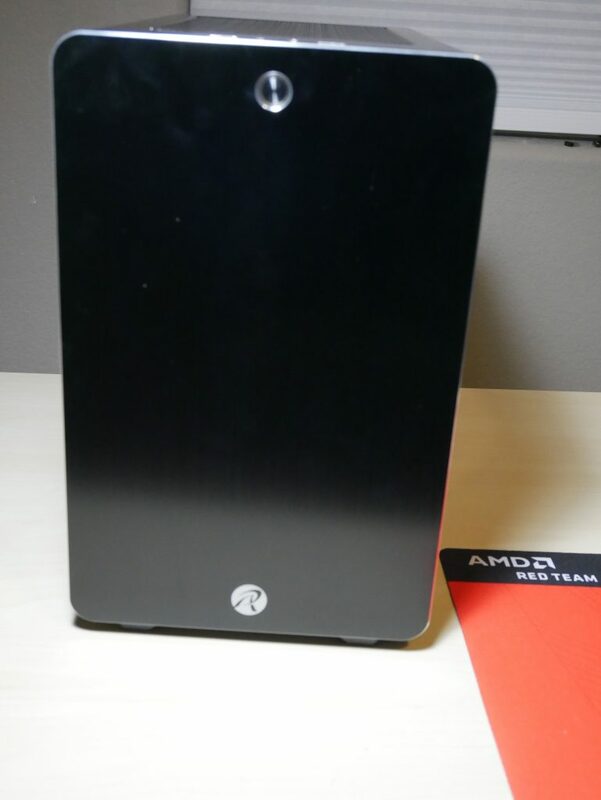 The box size is very similar to a Micro ATX case. The box is made out of standard cardboard. The case is supported by two pieces of hard cell foam and also covered with a plastic bag to protect it from handling. A bag inside is included, which holds several bags of screws and cable ties that are included with the case. 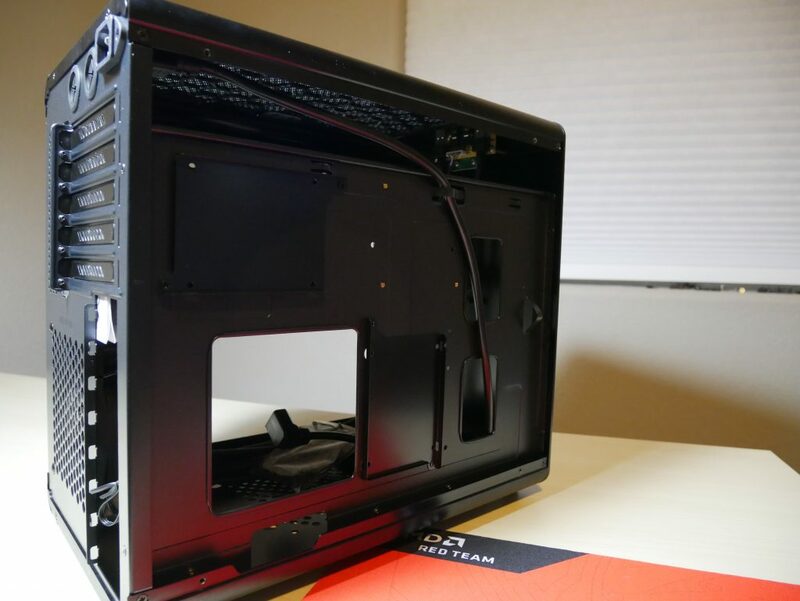 Taking a closer look at the entire case, the Front, Top, Bottom and Side panels are all made out of aluminum. The great thing about using aluminum is that it is very sturdy overall, but it is a finger print magnet (get that micro-fiber towel ready). 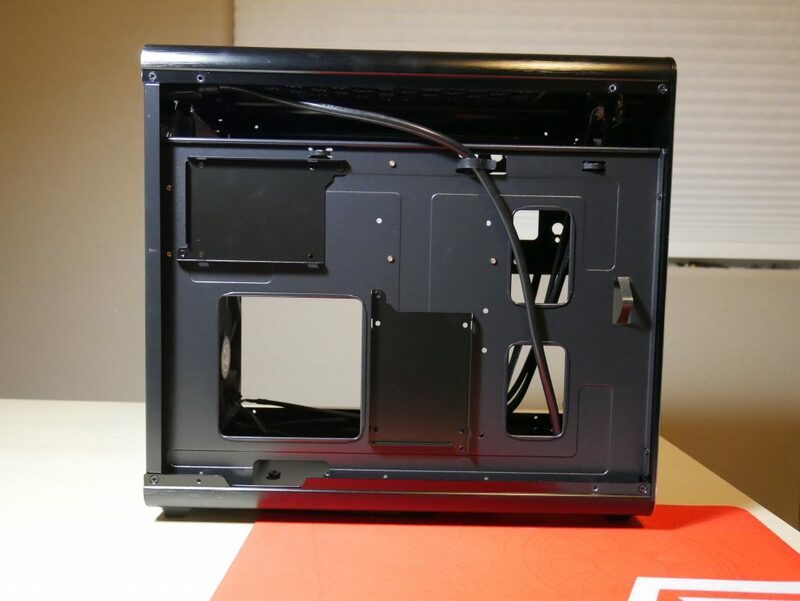 Every panel and piece of this case is secured with screws, this can be great if you are a modder that wants to possibly paint the case. The Front is a solid piece of aluminum that has the Raijintek logo. The right side panel has a window located in the bottom right hand corner. The left side panel is just plain. 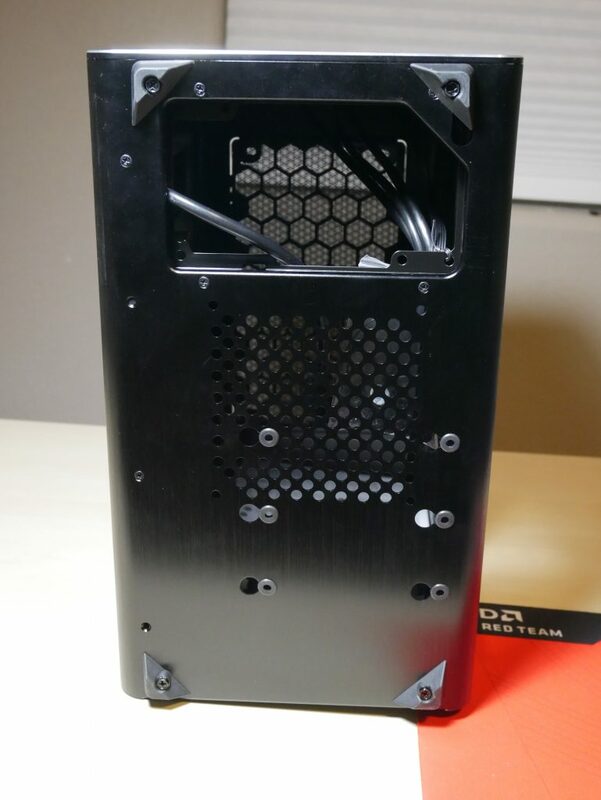 The Top of the case has a large 240mm dust filter. The filter can be removed by pushing a release tab on the inside of the case. 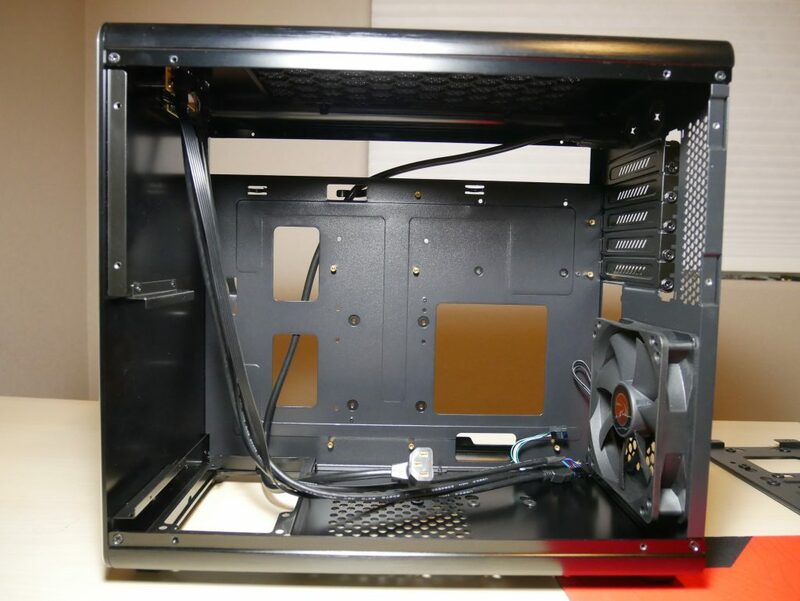 The bottom of the case has ventilation for the PSU and also mounting for a 3.5” drive. 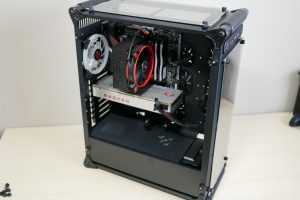 The rear of the case has a 120mm exhaust fan at the bottom and 5 PCI expansion slots with a cover over the securing points. 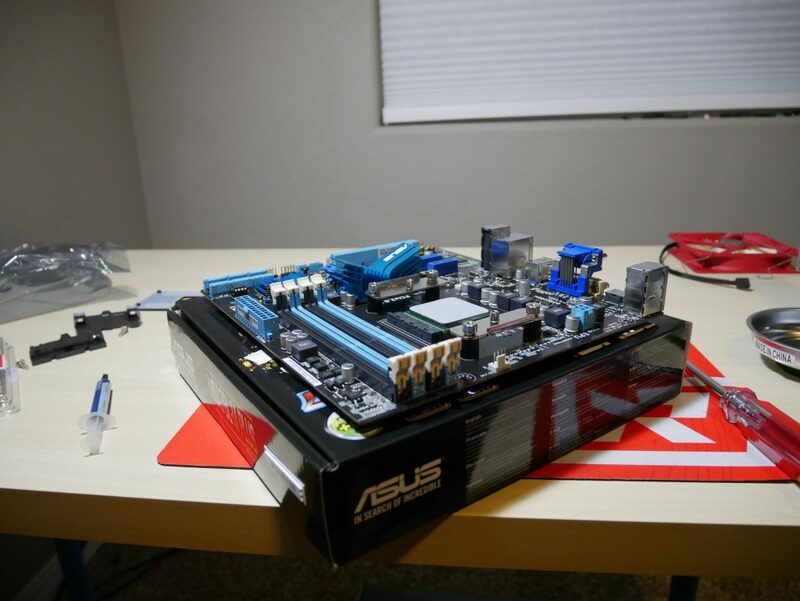 Looking at the inside of the case, the motherboard tray is inverted with the PSU mounted at the front of the case. The motherboard tray has a few cable tie mounts and a few grommets for passing cables. Most of the big cables can be routed with the huge opening in front of the motherboard tray. On the backside of the motherboard tray, there are areas to mount two 2.5” drives. 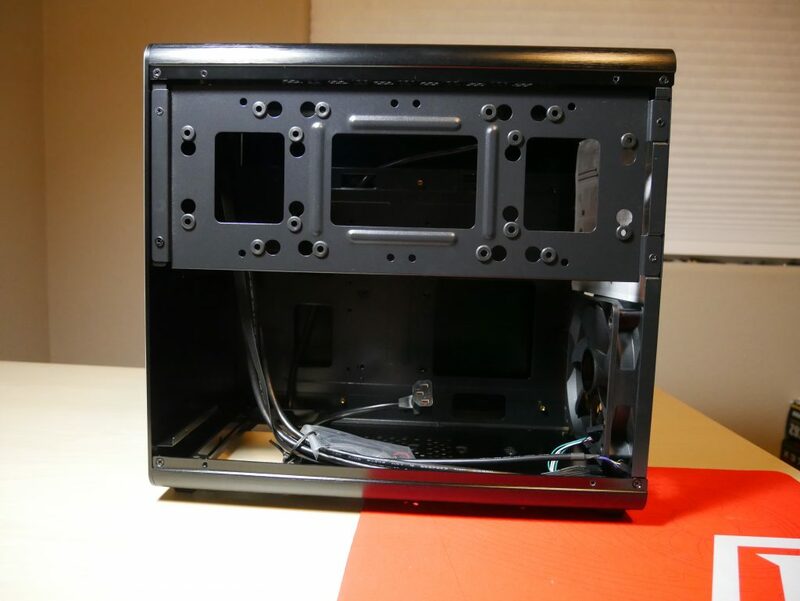 The final piece of the inside is an ssd/harddrive bracket that attaches along the top of the case. With this installed, you cannot see your GPU. The window on the right side panel does display your CPU cooler. Overall, the build went together without much trouble. The instructions are in black and white but are very clear. 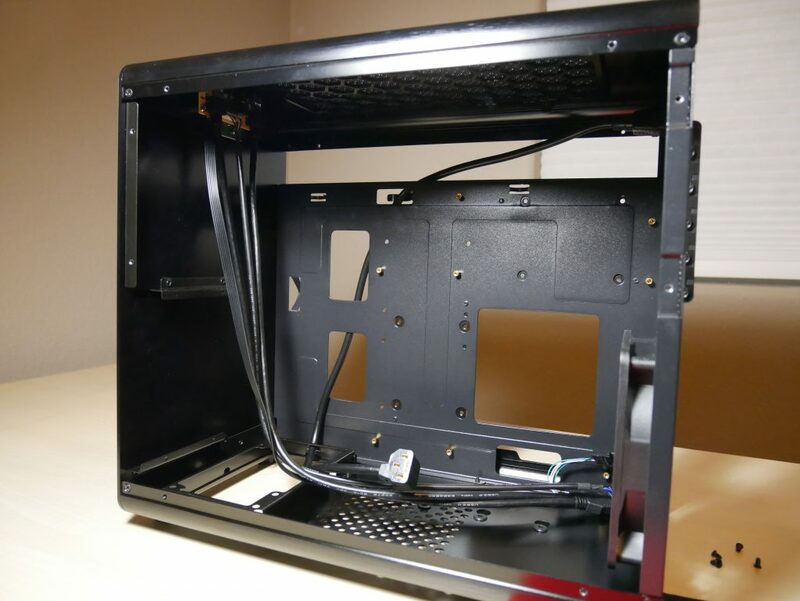 Hard Drives and SSDs have grommets that can be attached for easy installation in the case. If you are building in this case try to use a PSU that is not only modular, but also has flat cables. There is only about a ½ an inch of clearance behind the motherboard tray. This results in a slight gap between the side panel in the front of the case, due to the large 24-pin cable. 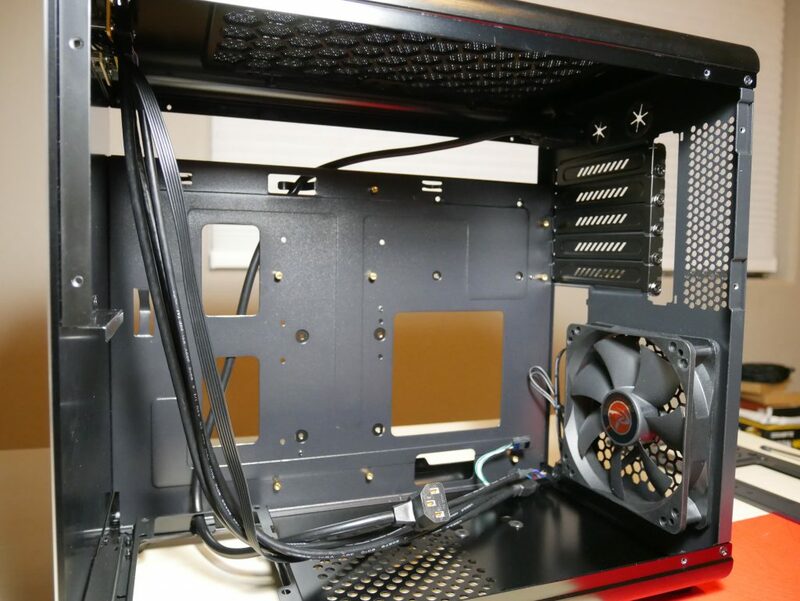 The air flow throughout the case is pretty good, with two 120mm fans blowing down towards the GPU, with the CPU cooler directing air flow towards the rear fan and finally the PSU also taking air from within the case and directing it out the bottom of the case. 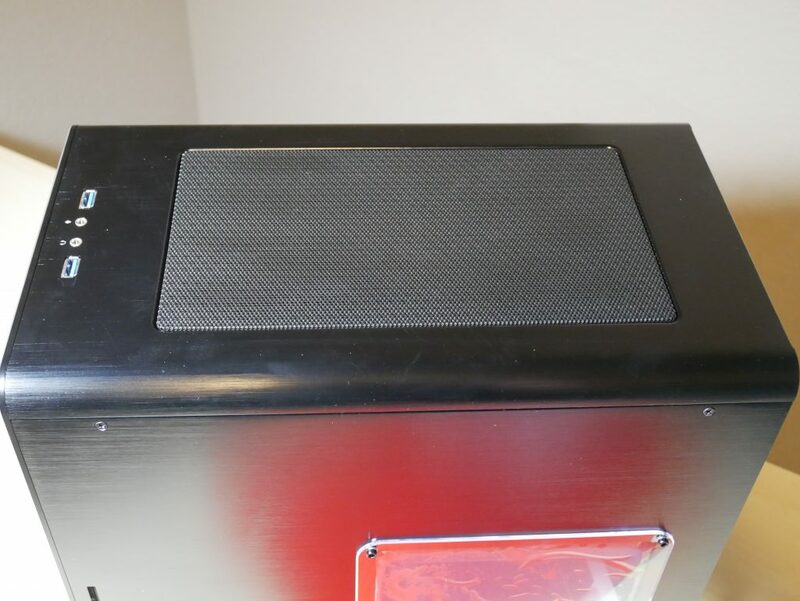 The only dust filter appears at the top of the case. Its size is pretty small and it can definitely fit a lot of storage inside. Building inside the case was fairly easy, just make sure you use a modular PSU or one with flat cables. 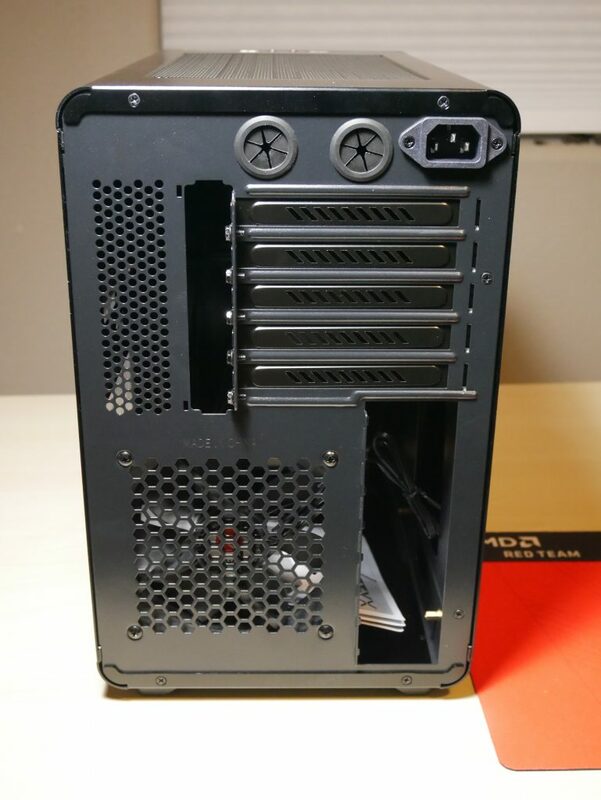 The build quality is great with screws securing the entire case together and the panels all feel very sturdy. Not much room behind the motherboard tray for the 24-pin cable. Bottom Line Overall this is one of my favorite M-ATX cases. 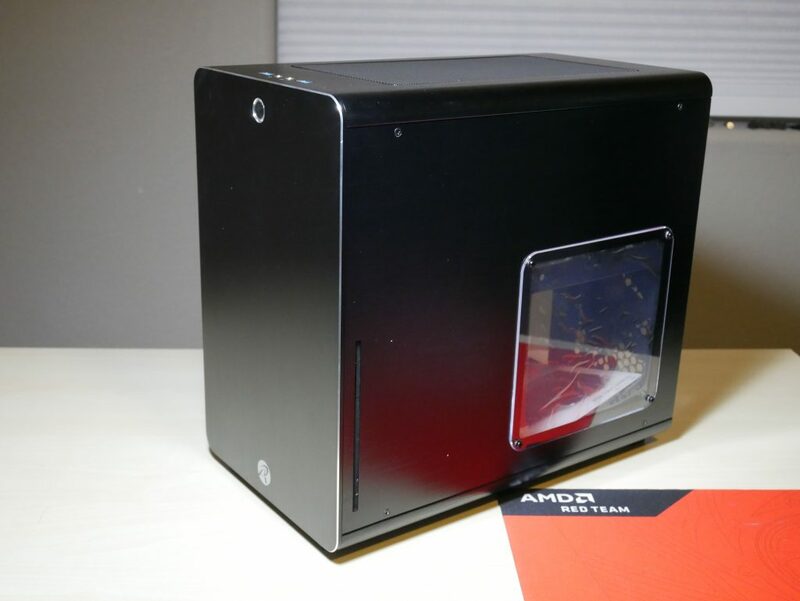 An M-ATX computer case with a compact design.